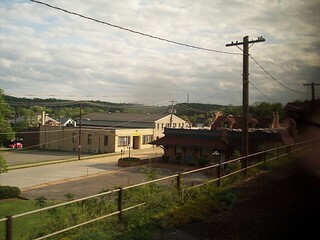 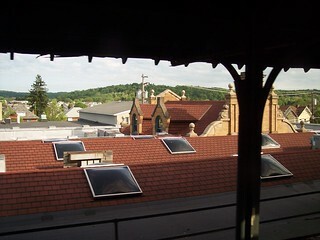 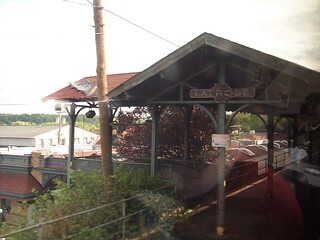 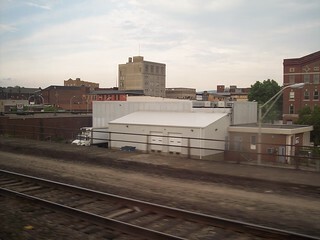 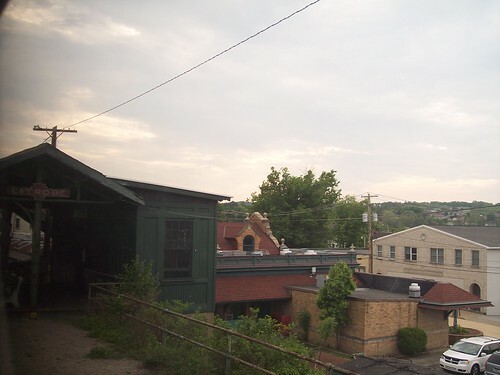 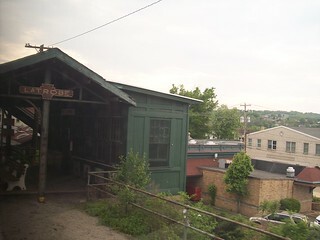 The Latrobe station as seen from the Pennsylvanian. 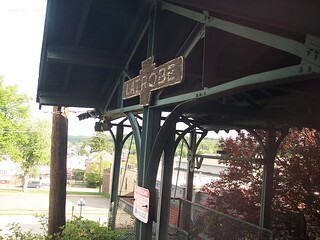 Latrobe still has its old PRR signs on the canopy. 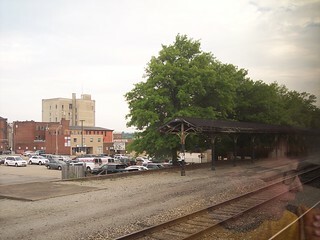 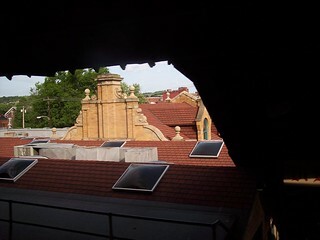 The old platform and canopy on the far side of the station is no longer used.